Paper and cardboard are some of the most versatile materials. They can make up the packaging, shipping box, or even part of the product itself all at the same time. 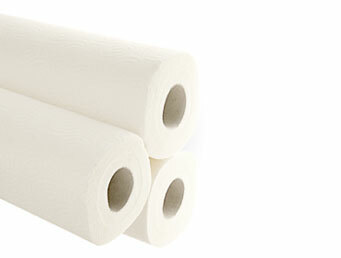 Modern hygiene products are today made of paper or paper-plastic combinations. Toilet paper, diapers, feminine hygiene products, napkins and paper tissues are mass products that are an integral part of every household. Cutting, punching, perforating, folding and register cutting are among the most important work steps in the production process. These are the main tasks of our knives – used in a wide variety of ways, for applications on various types of machines. With excellent repeat performance and optimally protected against wear and tear, for highly profitable knife inserts and tool life.